The debate in Lok Sabha during the passage of the High Court and Supreme Court Judges (Salaries and Conditions of service) Amendment Bill, 2017, today was lively, and brought the Law Minister, Ravi Shankar Prasad to disclose his mind on many issues facing the judiciary, and the Government’s relations with it, while responding to Members’ concerns. 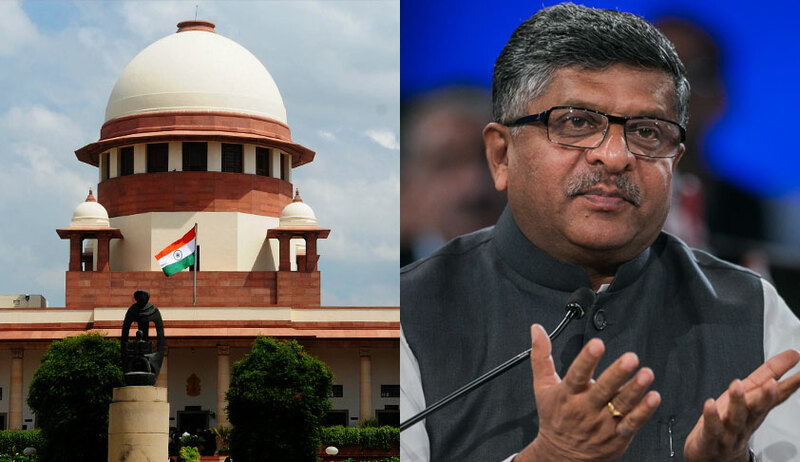 In Keshawanda Bharati, the Supreme Court held that Parliament cannot amend the basic structure of the Constitution, and considered separation of powers as one of the basic features. Judiciary must understand that the doctrine of separation of powers applies equally to itself. The Supreme Court quashed the Act, on the ground that the Law Minister is part of the selection committee. Claiming that he represented the Prime Minister in the committee, he asked if the Prime Minister’s involvement in the selection of other Constitutional functionaries are fine, why not Judges. He said the declaration of the Act as unconstitutional by the Supreme Court pained him, and Parliament must debate the issue afresh. The process is going on. The Government wants to strengthen the MoP so that occasions like sending a Judge to jail, and forcing a retired Judge to apologise to the Court do not arise in future. (in an apparent reference to Justice Karnan and Markandey Katju episodes). Therefore, the Centre is insisting on extra precautions to ensure proper screening and scrutiny of candidates recommended. Members of Parliament are free to say whatever they like (about Judiciary), but as Minister, he has to respect boundaries. Nobody can say that the Government’s active involvement in the selection of Judges before the Collegium came into existence in 1993 resulted in the selection of bad judges. Justices Gajendragadkar and Krishna Iyer were some prominent examples of good Judges getting selected when the Government had its say in the consultation process. Therefore, Government’s involvement in the selection process is not, in itself, bad. I looked at the appointment file of the Judge, whom the Supreme Court sentenced recently for imprisonment, for contempt. I found that he was well-versed in all aspects of law, except the contempt law. Everyone knows that it is the High Court which has to recommend names to the State Public Service Commission, for filling the vacancies. Neither the Centre, nor the State Governments, can be held responsible for not filling the vacancies. The non-finalisation of MoP is not a hindrance to fill the vacancies, and the Centre is only insisting on proper screening and scrutiny of candidates, before finalising the recommendations. Reads figures of pending cases and the number of vacancies, and indicates that there has been substantial progress, and assures further steps in consultation with the judiciary.